PC unites for Hurricane Michael relief, a potential WLCC buyer comes to town and Under-Medicated Improv hosted a Halloween themed comedy night at Krazy Kup. 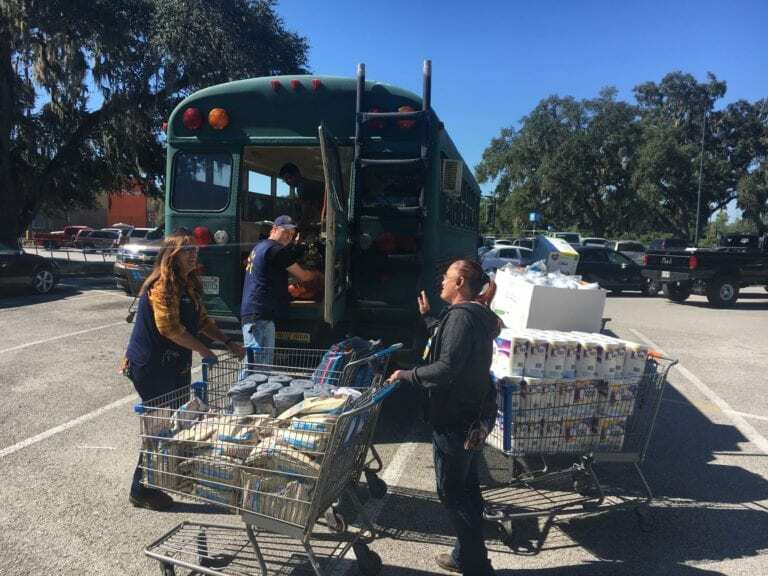 Members of the Plant City community came together last weekend to fill a local bus to the brim with hurricane relief supplies following the devastating path of Hurricane Michael. More than $1,800 worth of items like toilet papers, diapers, cleaning supplies and pet food were donated to be delivered to the panhandle. Simply titled, “Fill the Bus,” the group came together in less than 24 hours to use their resources to help those in need. Drop off locations were in several local businesses and the campaign spread quickly throughout Facebook. A potential Walden Lake Golf & Country Club buyer wants to meet and greet Plant City residents. 2XS Development is scheduled to give a presentation for its proposed acquisition of the golf course from 6:30 to 7:30 p.m. Oct. 25 at Plant City Church of God, 2103 Mud Lake Road. All Plant City residents are welcome to attend. Under-Medicated Improv hosts a live performance at Krazy Kup the second Thursday of each month. In honor of Halloween, the group arrived decked to the nines in unique costumes and invited the audience to join them in creating a festive atmosphere. Those who didn’t come in costume helped themselves to a selection of colorful hats to wear throughout the performance. Candy was repeatedly tossed to the crowd for audience participation.